How to Order Sunglasses Online. We only sell the best quality sunglasses and we have made adding a prescription to your sunglasses easy. 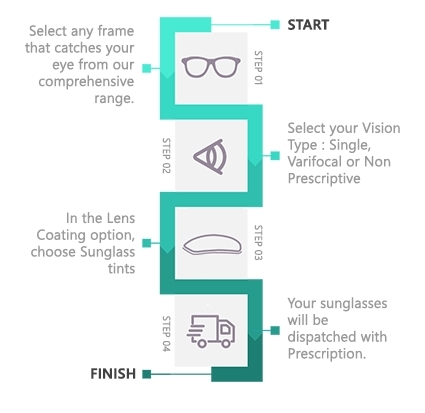 If you want to change your sunglasses to spectacles, you can do that simply by choosing your vision type and adding your lens.